We’ve had opposing ends of the wagering spectrum so far this week. How will we do on Wednesday? This pre-Final total (11,400) is the lowest in regular play since January 16, 2012 (11,300). The next-most-recent was on December 26, 2005 (10,000). Terri should wager 1,400 to cover Emily. Emily needs to get it right, so he might as well wager everything. Jason is out of contention for the victory. That is basically it. 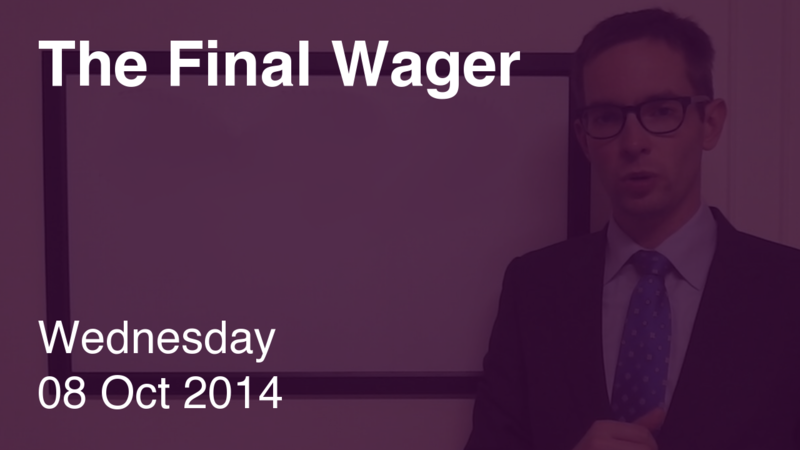 Given Terri added the dollar on Monday’s game, Emily would be justified in wagering 3,800 to guarantee second place. 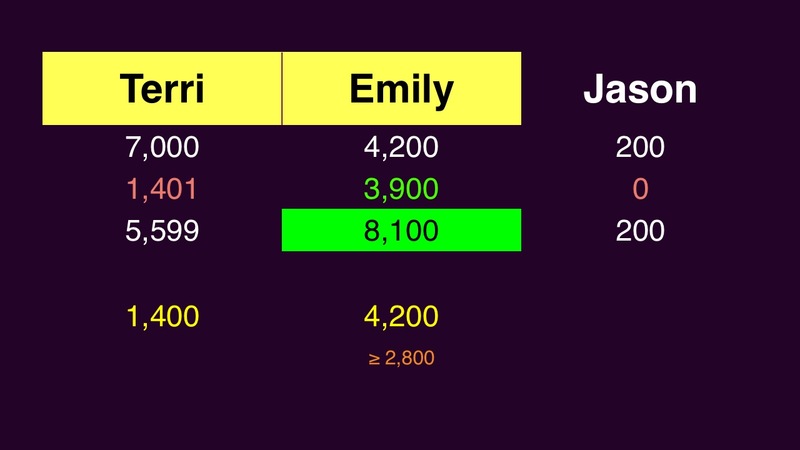 Not sure why Emily would risk the extra $1,000 for second just to snag another $100 should she win. Of course, Jason rendered that point moot.